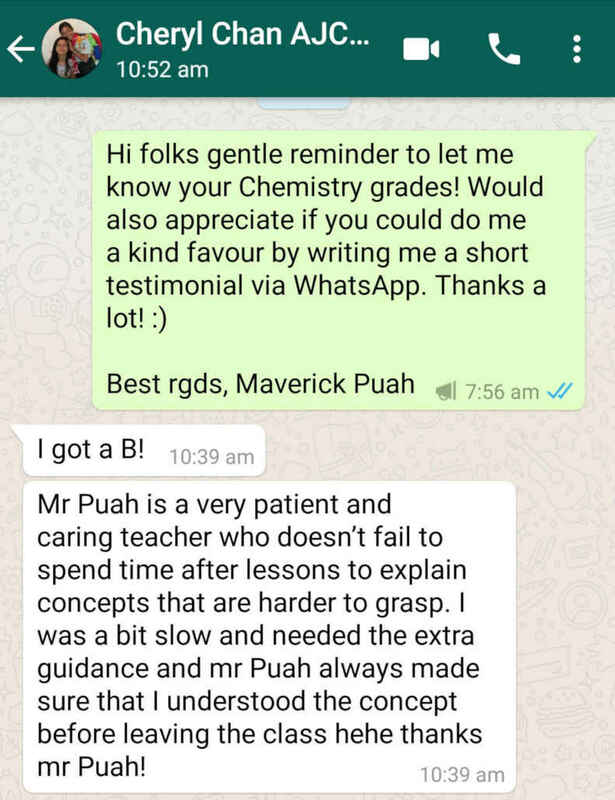 Top H2 Chemistry Tutor Maverick Puah has consistently helped countless students achieve distinctions for A Levels since 2010. 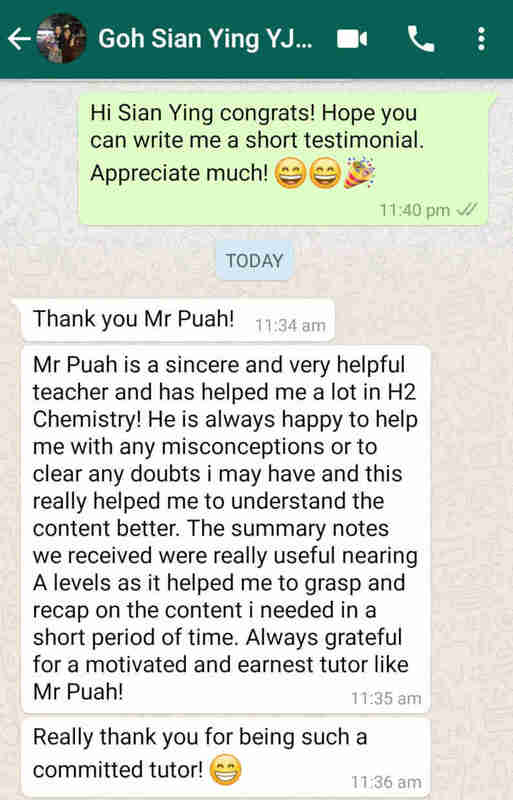 Find out the reasons why Chemistry Guru is the best choice for A Level H2 Chemistry Tuition. 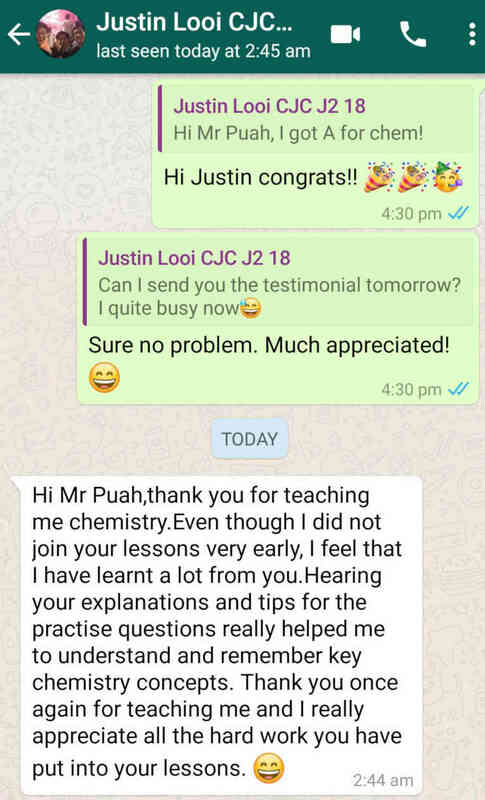 Read the 100+ testimonials from his appreciative students to see why they think he is such a good chemistry tuition teacher! 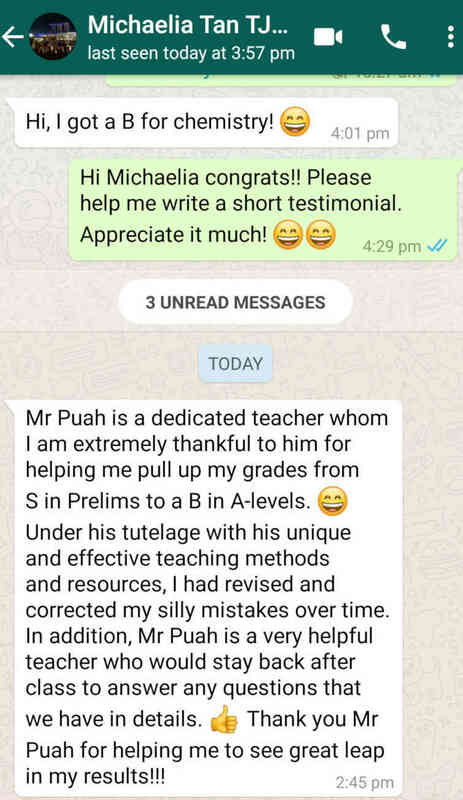 View the photos of my student testimonials 2018 at my Facebook Page. 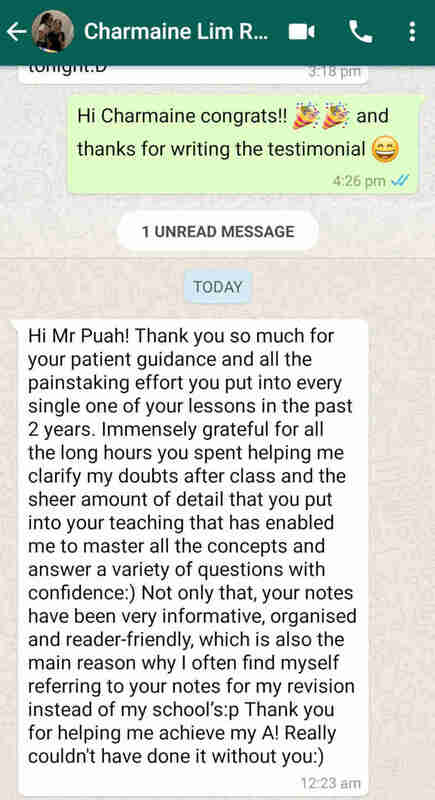 "Mr Puah is truly an inspiring teacher. 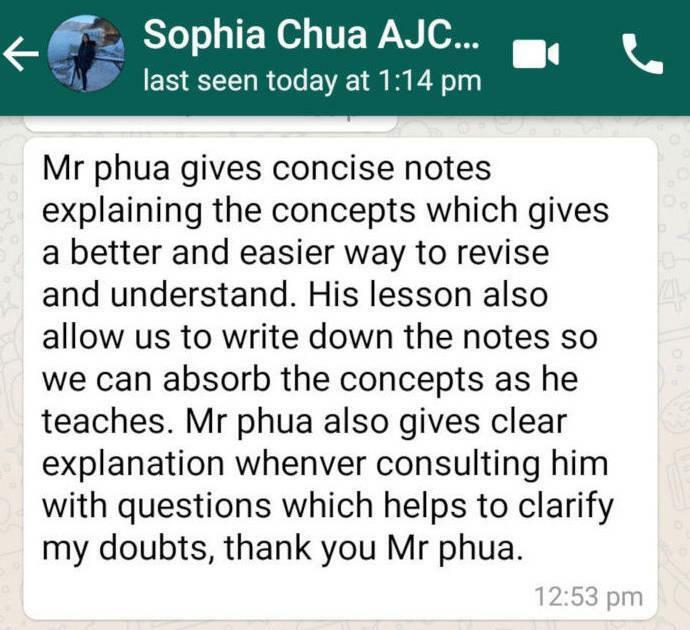 He is always willing to stay back after classes to clarify our queries, and replies messages promptly to clear our doubts! He has the ability to make the once seemingly complex topics easy to understand, and also giving us one-shot technique that is useful in tackling questions of the same topic in the future. 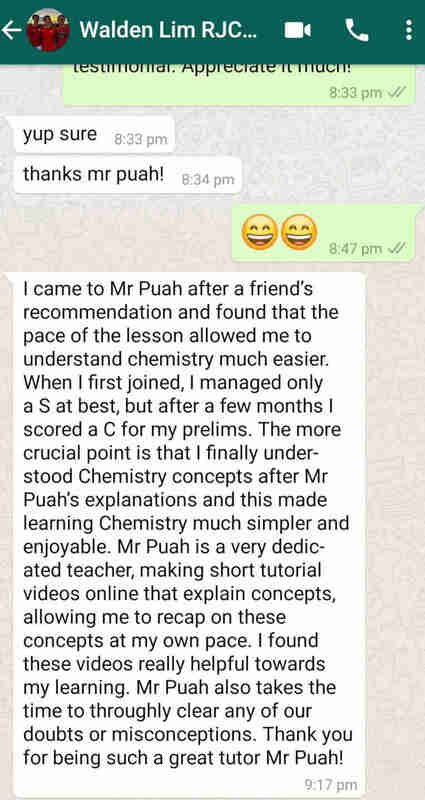 I had picked up many tips and tricks from attending his classes, and chemistry did really seem easier as compared to when I hasn't joined. 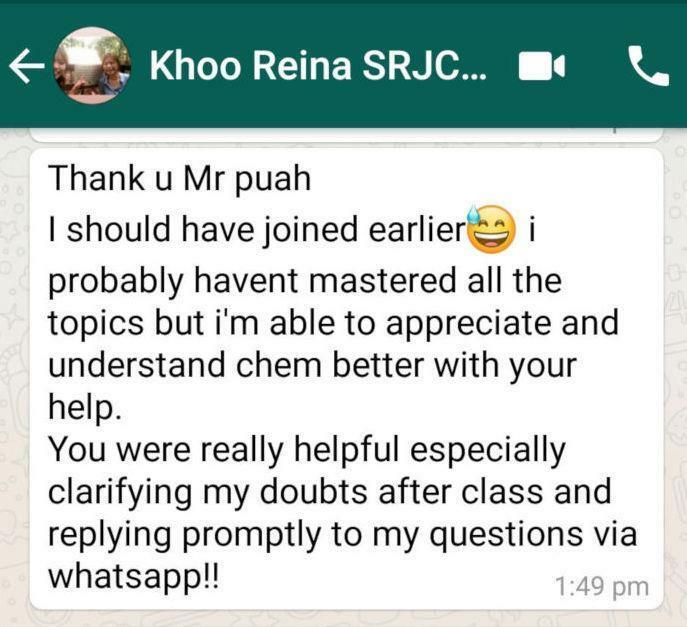 Thank you Mr Puah for pulling up my grades, it was a regret not finding out about ChemGURU earlier if not I'm pretty I can perform even better. View the photos of my student testimonials 2017 at my Facebook Page. 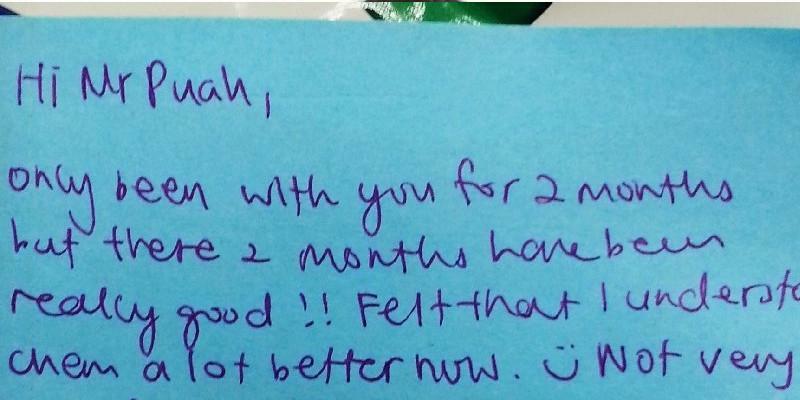 View the photos of my student testimonials 2016 at my Facebook Page. 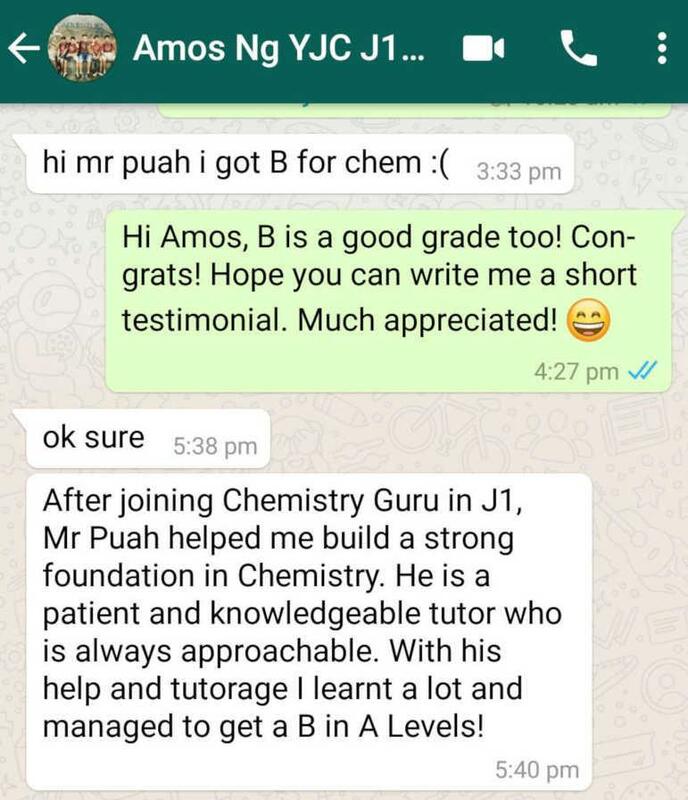 Find out why Chemistry Guru is the best choice for A Level Chemistry Tuition. View Maverick's full qualifications and credentials. Check out the class timing, topics covered and fees for our JC1 Classes and JC2 Classes. Save on precious travelling time! Online Tuition lessons are now available at 50% of the cost of conventional class tuition. Contact us for registration and enquiry.